Today the Datanauts have beamed aboard a smart and insightful guide to help us navigate the swirling maelstroms of cloud, containers, and storage. 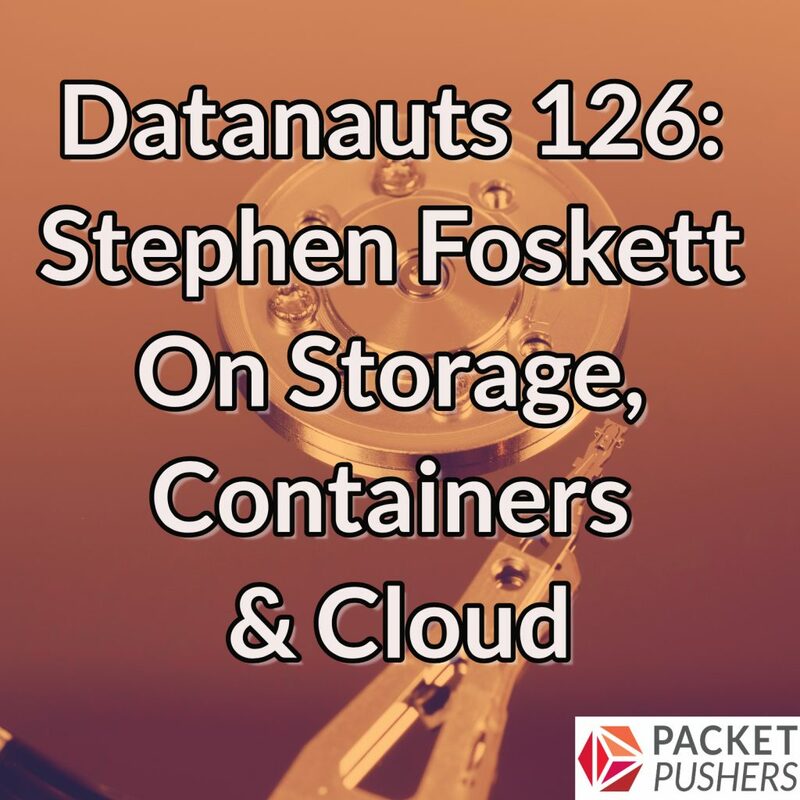 That guide is Stephen Foskett, founder of Tech Field Day and Gestalt IT, and long-time consultant and writer covering storage, networking, mobility and pretty much everything else in tech. We explore the current state of storage and what’s new and interesting in the industry, including NVME; Stephen’s love of ZFS; and why we’ll always have spinning disk. We also look at Rook, an open-source storage project that’s been adopted by the Cloud Native Computing Foundation; Kubernetes and storage; and how far down you can go with abstractions. The Datanauts and Stephen also discuss careers, professional development, and how the tech industry is evolving and changing.